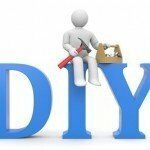 Articles giving general DIY repair advice and tips if working on appliances. For advice and help on specific appliances use one of the appliance menus in the main navigation above. Note: Whitegoodshelp specialises in front loading washing machines so most DIY help available is for washing machines. Why no wiring diagrams repair manuals and circuit diagrams for appliances?